BAAMI – Bay Area Association of Medical Instrumentation – Promoting the Healthcare Technology Management Field (Biomed) in Tampa Bay. Our mission: To create a robust resource for Biomedical/HTM Professionals in the Tampa Bay Area. Our objective: To promote, encourage and advance the training of Biomedical/HTM Professionals. Our goal: To assist and cooperate with anyone interested in the betterment of the Biomedical/HTM Profession. 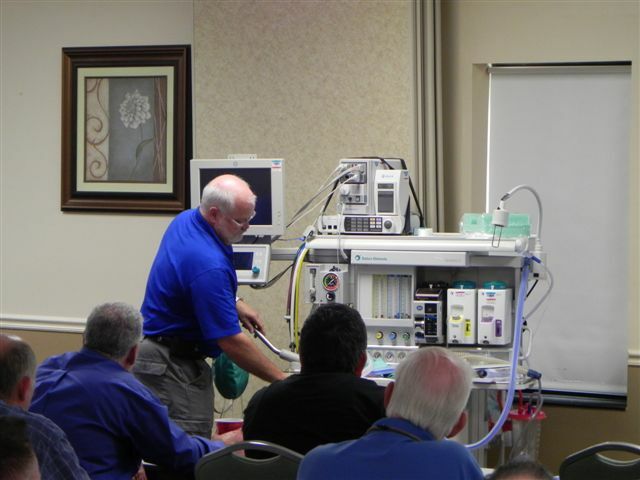 Welcome to the Bay Area Association of Medical Instrumentation! 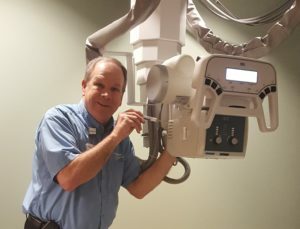 The Bay Area Association of Medical Instrumentation,(formerly known as Suncoast Biomedical Society) was founded in the 1990's, by a group of Biomed technicians and Clinical engineers to serve the Tampa Bay area (Tampa, Clearwater, St. Petersburg). Since re-established in 2005, BAAMI has been helping the local Biomedical Technicians to be better prepared by exchanging information, ideas and technical training during monthly meetings and other fun activities. Use the Menu on the top of the page to learn more about us, how to join BAAMI and how we help each other in our Biomed field! Do you want to join BAAMI? Do you need to renew your membership? This is the time to do it! It's only $40 a year for Technicians and $25 for Students (with corresponding I.D.). 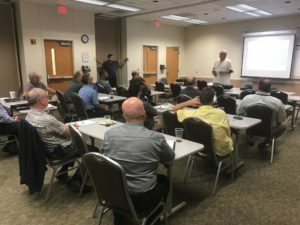 You are cordially invited to our monthly BAAMI meetings, where you can meet new friends: meet vendors, technicians, medical equipment manufacturers and students. There you can share in an relax environment and learn about new medical devices and keep up to date with new technology developments! We are extending an invitation to our March 2019 meeting to you and your fellow biomeds. "Cyber Security is an increasingly important topic among healthcare professionals. With sensitive patient data being shared across a number of networks and devices, there is continuously heightened risk for data breaches". "VasoTechnology is a Tampa based IT organization that specializes in the healthcare industry. 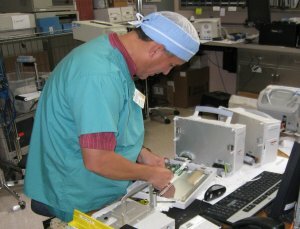 Our sister organization, VasoHealthcare, is the largest U.S. based reseller of GE modality units. We partner with them to offer various radiology applications, in addition to traditional IT services, to their customer base. Because of this we have an extensive knowledge of device and network security in the healthcare field. In addition, we have a Tampa based 24/7/365 security operation center (SOC) that works as a resource for our customers to ensure the safety of patient images and sensitive data." Join us on Thursday, March 21 at 6:30 pm to learn about some of the risks that are out there as well as how you can work to protect your healthcare data from a security breach. Invite your fellow IT and Digital Imaging coworkers! Also, you'll have the opportunity to renew your 2019 membership during the meeting, or become a member for 2019 that day. Dont miss it! BAAMI is a non-profit organization whose mission is to increase patient safety by creating a conduit for communication, sharing information and education necessary for the development of quality Biomedical Engineers. We assist members in the growth and development of their biomedical knowledge and skills by regular exchange of information, ideas and experiences through meetings and training programs. By becoming a member, you'll have the opportunity of networking with many other technicians, students, vendors and other biomed professionals of the Healthcare Technology Management (HTM) Field. We have monthly meetings and also special activities like the "BAAMI BEACH BASH" every August and the Holiday Party in December.